Originally for piano solo, transposed mostly up an octave and a fifth. 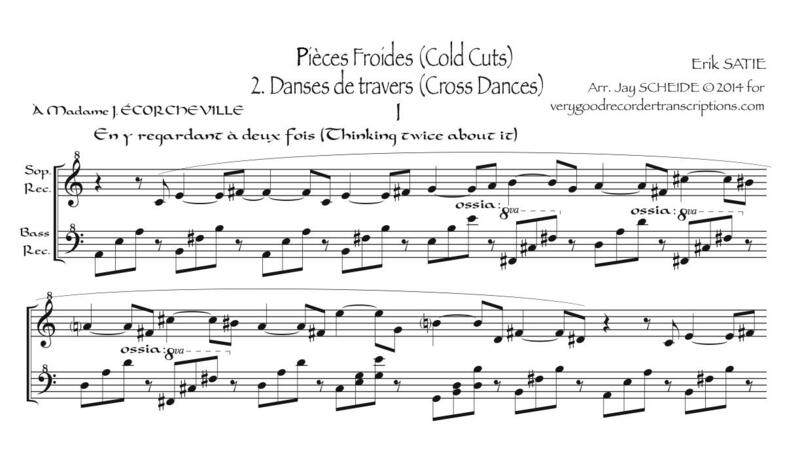 Title means, Cold Cuts—Cross Dances. There are many options given, primarily to play high or low notes in both parts. Note that we also offer a version for either bass or alto recorder and keyboard at the original pitch.